The Olympics are in full swing. The Chinese are leading with the biggest medals haul for now.It looks like its going to be a straight fight between China and the USA for the most medals. London 2012 seems to have overcome the cynics’ predictitions. Its running smoothly. Team GB has not disappointed either. Team GB is currently fifth, and with athletes like Andy Murray, Rebecca Adlinton, Jessica Ennis,Dai Green, Ben Ainslie and Victoria Pendleton to compete today (to mention a few); there is a good chance there will be a few medals added this weekend. We can not talk about the Olympics without mentioning the ‘great’ Michael Phelps. He is in the 100 butterfly. Michael has won 2 Golds and 2 silvers at London 2012 so far. Astonishing! He has also accumulated more than 19 Olympics medals. He is the most decorated Olympian and his feats surely inspire other athletes across the globe. 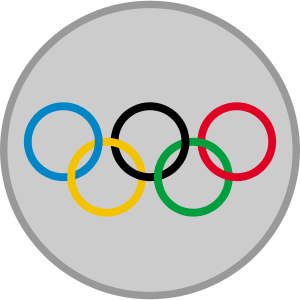 The Olympics were originally meant to be the tournament for amateur sport. It is disconcerting at times watching professional sportsmen (USA Basketball team, Team GB football, professional tennis players, etc) playing against the amateur sportsmen. However, the amateur status was compromised a long time ago with state-sponsored athletes from the Communist bloc. Commercial organisations and other states have since joined in. That is one reason China does so well at the Olympics; with athletes groomed from a very early age. Though it is not a really level playing field, all competitors have a bite at the cherry, and its great to see athletes from little-known countries like Vanuatu, Micronesia, Nauru, Timor-Leste and even Palestine. Just to mention a few. All the athletes deserve their 15 minutes of fame and we should all applaud our countries’ athletes at the Games. Every Olympics games gets its fair share of controversy, and London 2012 is no exception. There has been some considerable murmurings following the exploits of the Chinese 16-year old record-breaking Swimmer Ye Shewin. Lord Coe even went on to urge everyone to cut her some slack imploring “My instinct is to always give benefit of the doubt to the competitor until proven otherwise. My instinct is to celebrate an extraordinary performance.” Her feats were truly extraordinary, achieving a faster time than some male competitors. Record-breaking feats have always left a sour state-When Ben Johnson won the 100m in record time, we all applauded only later to be left deflated after revelations that he used performance-enhancing drugs. It also happened with athletes associated to the Balco scandal. Some of these broke records at the Olympics and we all joined in the adulation,and only to be left dumbfounded when the true nature of their deeds were revealed. 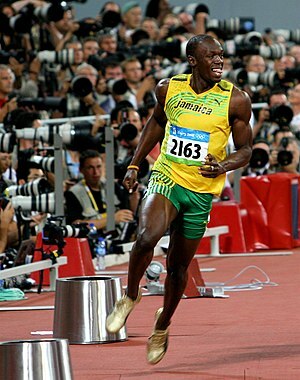 A few athletes have all ready been thrown out for using performance-enhancing drugs. That is why some people find it hard to celebrate when some extraordinary athletes win the Yellow jersey at the Tour de France. Many a time we have discovered that these sportsmen tend to use performance enhancing substances and this leaves spectators quite cynical. Saw this video at http://www.guardian.co.uk and felt I should share it. Some may baulk at the temerity. Others may sympathise with the protester. One thing I will never understand though is: Does taking of clothes when protesting make a bolder statement? London 2012 has proved to be a success so far. It has not been a failure as some people wanted the world to believe. Team GB is doing remarkably well thanks to these athletes who have worked so hard to compete at the highest stage of all. We should all applaud all our representatives at the Games and enjoy these Olympics. After all they only come once every 4 years.